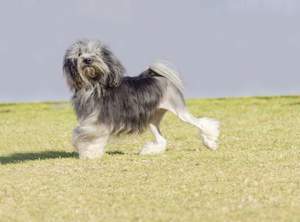 The Lowchen is a small breed whose origins are unknown, but pictures of the breed are evident in 16th century Germany art. 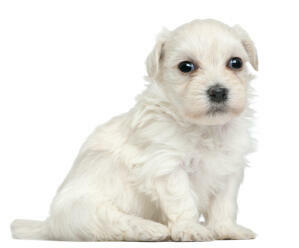 It probably originates from Europe and is related to the Bichon Frise and Havanese. Originally only associated with gentry, they were classed as companion dogs for the elite only. The name means 'Little LIon' in German and this stems from the characteristic lion cut of the fur. The coat is trimmed from the last rib, all the way down to it's back legs and feet. The tail is partly trimmed to leave a plume at the tip. By the 1960's it's numbers had dwindled to a few hundred, but a concerted effort to breed allowed them to return to slightly healthier numbers. It is still quite a rare breed. 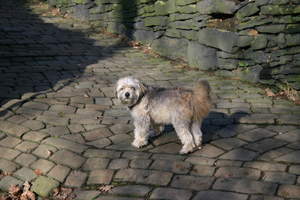 The Lowchen is a friendly, happy dog that thrives around people. 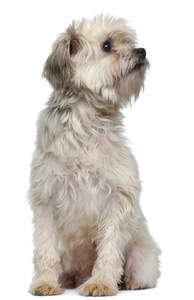 They were developed as a companion dog and excel in this role. 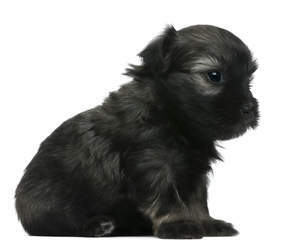 They don't do well if left alone for too long and can become nuisance barkers and destructive if bored. They need someone around them for most of the day. They are very loyal and loving and will want to be close to you on the sofa or bed. They aren't lazy as such, and do enjoy a walk, but are more than happy to sleep on your lap for a quick afternoon nap. However, they like walks and will gladly spend time on long days out with you, covering miles. They seem to like everyone, and form close bonds with their family. 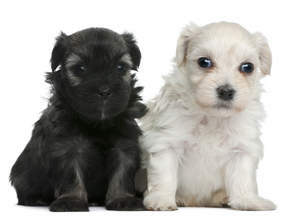 They are fine with strangers, pets and other dogs if properly socialised at an early age. As watchdogs they do well and will announce when someone is at the door. They hear everything. Lowchens are clever, funny dogs, who like to please. They learn quickly and enjoy games and tricks. 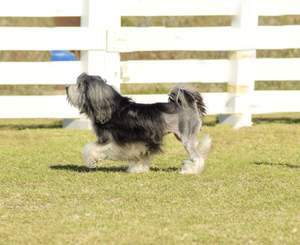 Many do well with obedience and agility training and they are surprisingly good at it. They have boundless energy when playing and love games in the garden or in the house, however, they will calm down when you tell them to. Positive training with fun and treats works best. Given problem solving games also keeps their minds active. They can be sensitive to harsh words, but you will rarely need to tell them off as they pick things up very quickly. Some can be nuisance barkers but learn the 'quiet' command quickly if started early. The coat needs brushing every other day and clipping in the 'lion' cut every month or so. 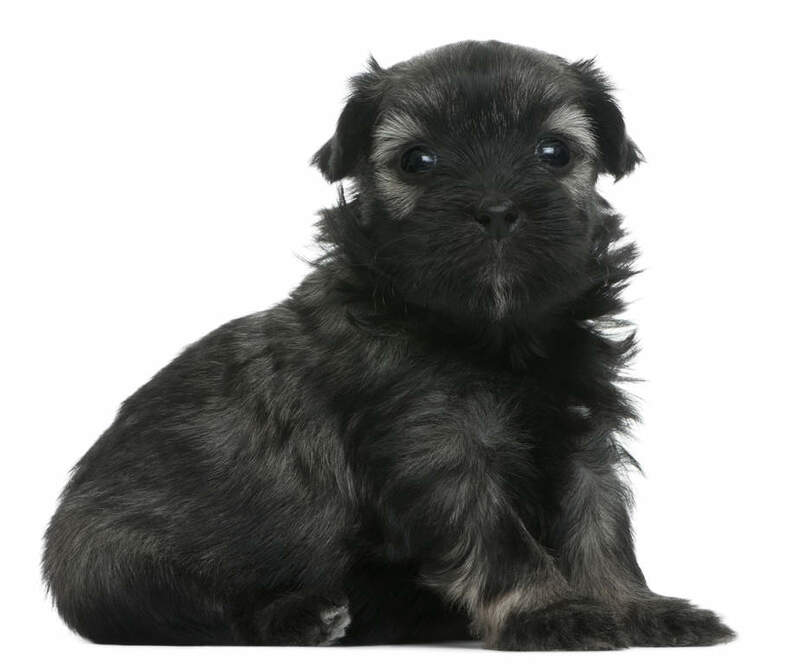 Many owners prefer the puppy cut as this makes grooming less effort and much less expensive. They don't shed much fur. They suffer few health related issues and are a robust dog, but patellar luxation is sometimes seen. The Lowchen has a sweet natured and low key temperament. They are very loving dogs who will be happiest when they are with you. Whether that is snuggled up on the sofa with you or trotting along beside you is of really no preference to the ''little lion dog''. They are fairly friendly to strangers and other dogs but some may dig or bark a lot. Health problems that may affect Lowchens include luxating patella (dislocation of the knee cap), allergies and eye diseases including progressive retinal atrophy (degeneration of the retina which can lead to blindness).